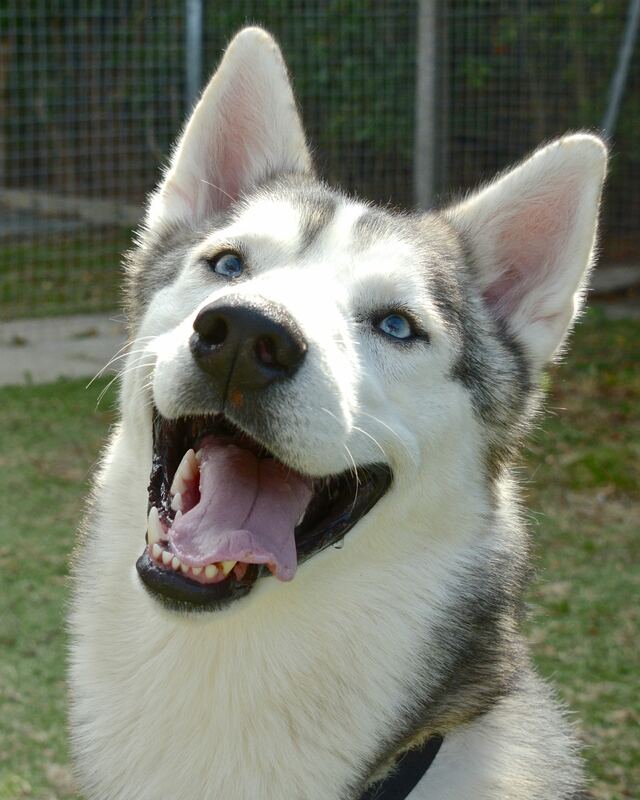 Barnum, 1-2 year old male Husky, neutered, vaccinated and chipped. Possible with dogs but not cats or small animals. Hey ‘Phineas Taylor Barnum’ here, a sheer humble country boy who has matured into a true showman! I love to greet everyone with the same cheeky ‘welcome to the house of fun’ attitude. 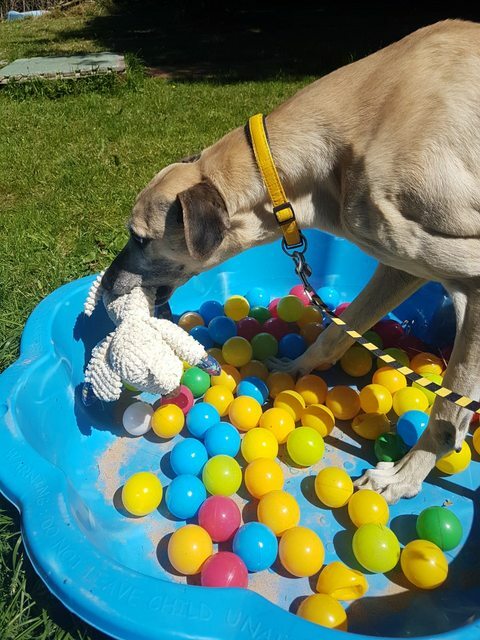 I am a big pup who loves to do everything at once and if I notice a ball I am away with play time for hours. Being a busy boy I love keeping myself entertained and thinking up new tricks. I have displayed a few different poses in the morning when the staff have come in. It’s a bit like musical statues. I believe I have a wonderful voice as all Husky’s have so I enjoy nattering away and do occasionally break into a tune. Now I must admit I prefer to use my paws and walk to places; exercise is a good thing and will keep us healthy! You will need to be patient with any journeys and holidays in the car or I am more than happy to stay at the Grandparents; extra treats here I come! As you may be aware with the breed I am, remember to keep me on the lead as us Husky’s do love to switch off our listening ears and if any small furies were to cross my path I would be off! Likewise with the Vet if I’m honest. An experienced and respectful older teenage home is what I am in search for and I might even consider another canine friend if they can keep up with me!